Recently several hundred so-called “Bendy Animals” surrended themselves to Public Library locations across the nation. Many were heard to utter, “but we’re so cute, so very cute,” and “We’re bendable! 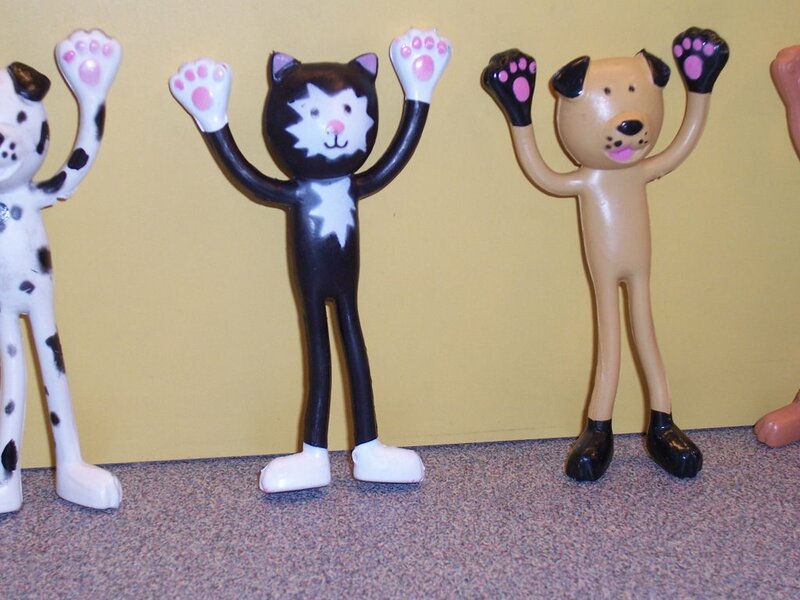 We’re fun!” Have you seen one of these “bendy animals” in your community? If so, call your local Public Library immediately. In this photo bendy animals are shown caught shortly after trying to flee down Rea Road. They were asked to slowly raise their hands above their heads which they did, because they are bendy animals. Well, they *are* very cute. You are so clever, funny, and a little weird. Glad I work in the same building as you.